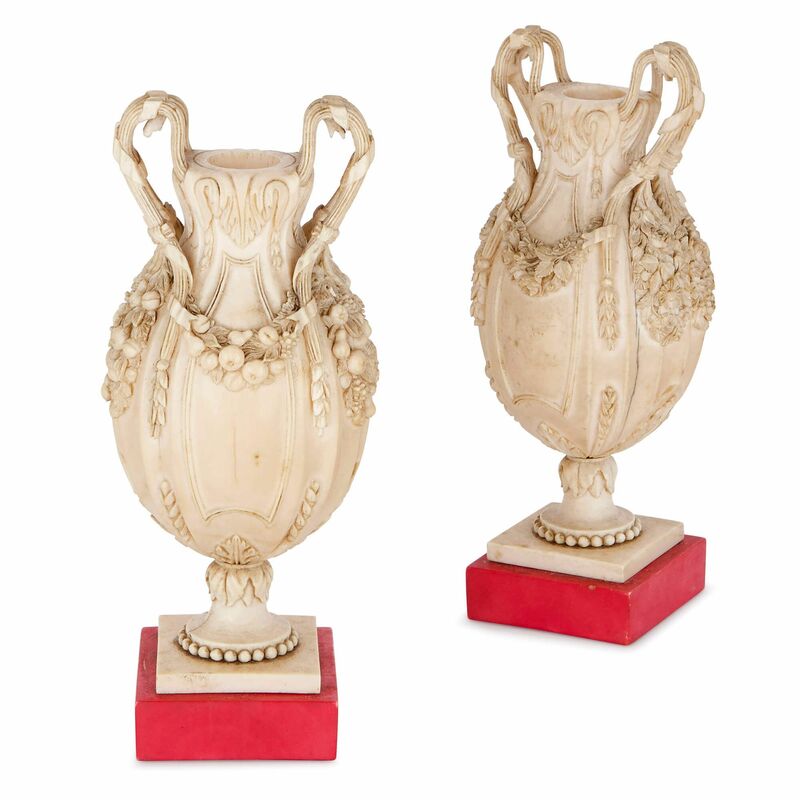 This pair of miniature vases are of ovoid form and feature intricate foliage swags, which have been carved in ivory by a highly skilled Dieppe craftsman. 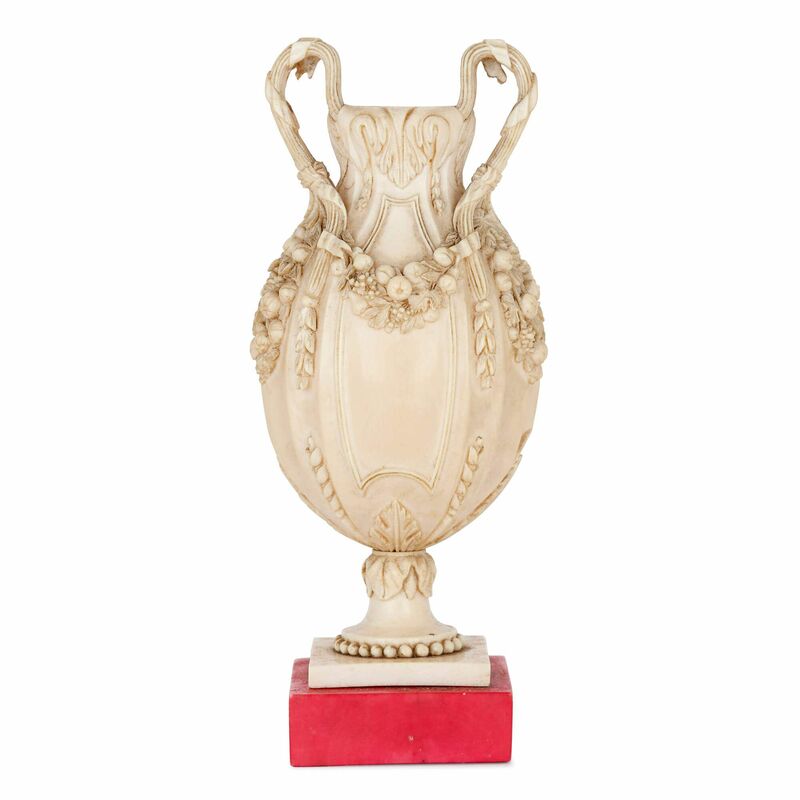 These exquisite small-scale ivory ovoid vases are a prime example of the fine craftsmanship produced by the town of Dieppe in northern France. 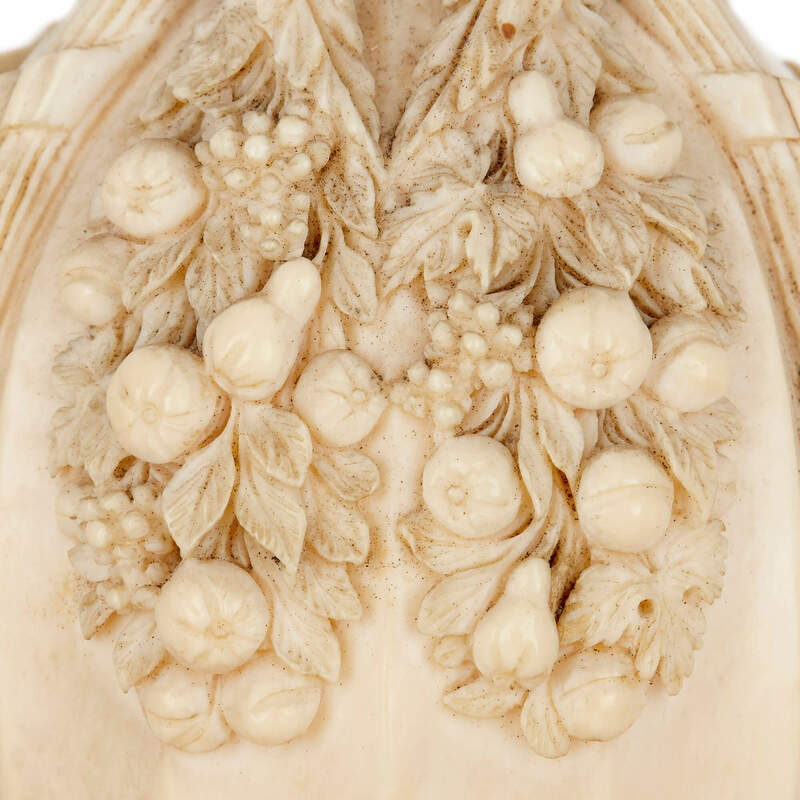 For centuries, Dieppe has been associated with exceptional carved ivory work, owing to the trade relationship the town enjoyed with Guinea in the later 17th Century. Each vase sits on a red stained square plinth, creating a striking juxtaposition. 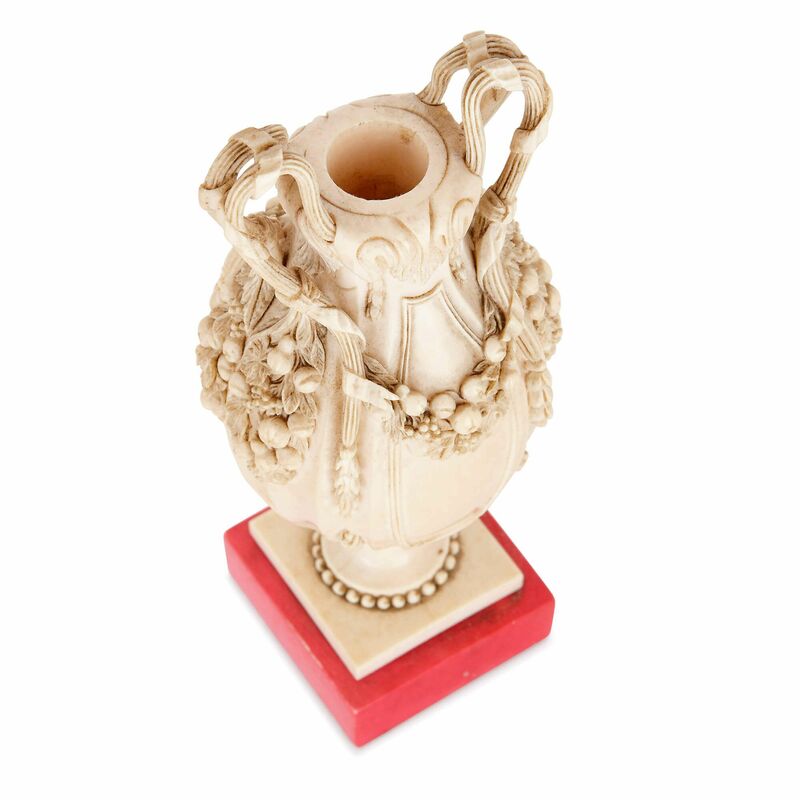 The vase bases are ornamented with beading and acanthus leaves, upon which the main bodies of the vases are supported. 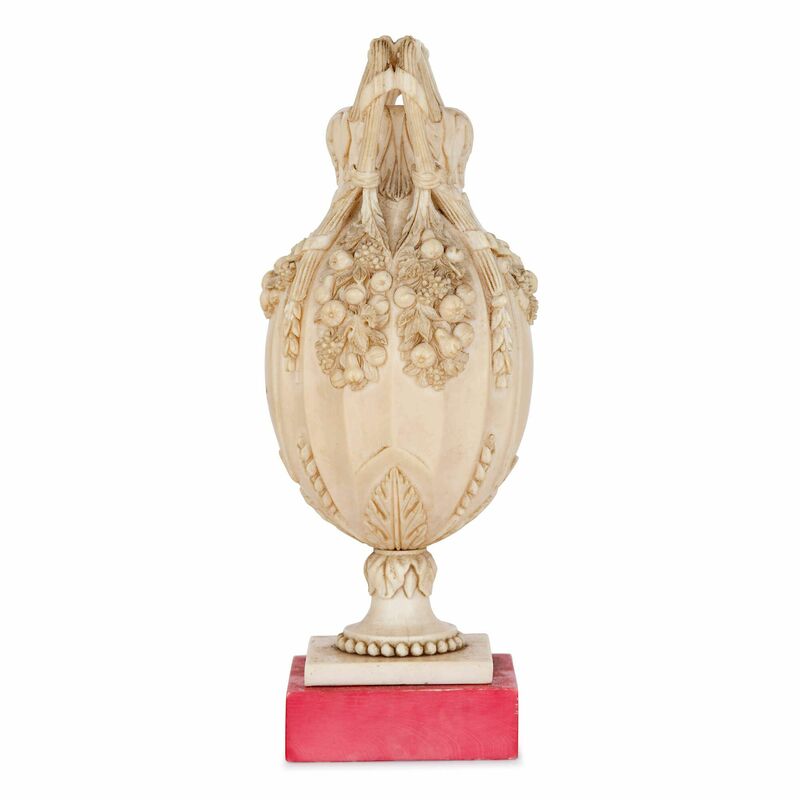 On one vase, the ovoid body is carved with bundles of ripe fruit, and on the other, with garlands of flowers. From the upper rim of each vase, two double handles rise up and curl down, taking the form of sheaths of wheat, which are tied with ribbon. On each, the vase neck, on the front and back face, is carved with scrolled leaf forms that mirror the curve of the handles. 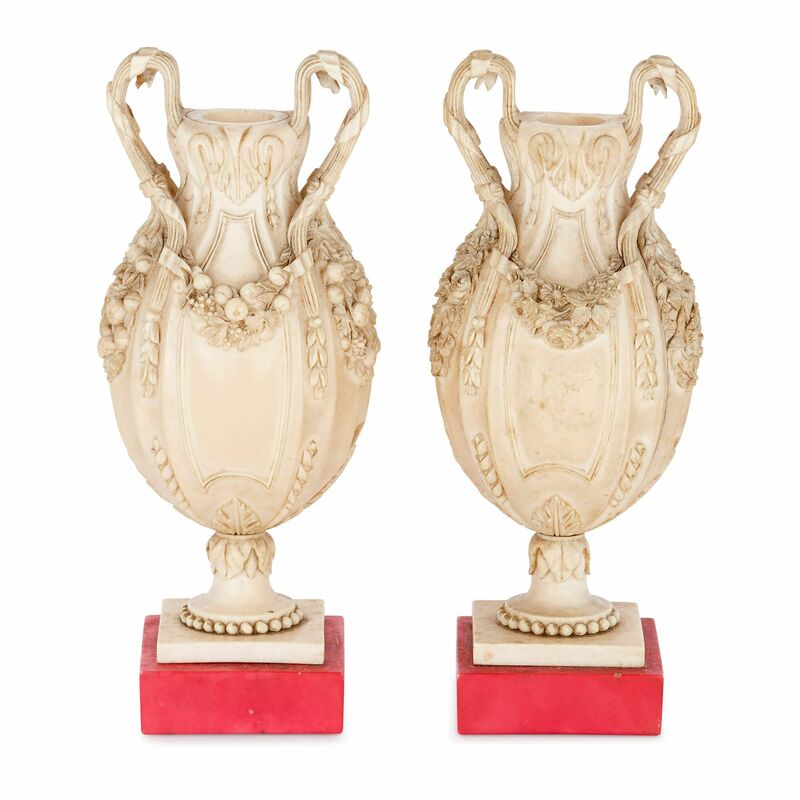 In their stark white colour, the organic shape of the handles, and the heavy swags of foliage, the two vases are slightly reminiscent of bucarnium, or caved ox sculls, which often adorn classical buildings. These miniature vases speak of the skill of the Dieppe craftsman, who was able to turn hard ivory into two exquisitely detailed works of art.